The quality of the produce is great- better or the same as I would pick for myself... 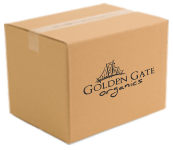 If you are short on time or would like to venture out and try produce you normally wouldn't buy at the grocery store I would check out Golden Gate Organic's weekly delivery options. See what's in the Regular this week! See what's in the Small Family this week! See what's in the Family this week! See what's in the Single/Student /Senior this week! Express appreciation and love for your staff with a weekly delivery of local organic fruits. We've designed this box to bring nutrition and lift the spirits of 3-8 people. Be nurtured with seasonal offerings of delicious handheld fruits selected from small local organic farms. See what's in the Small Business Fruit Box this week! Express appreciation and love for your staff with a weekly delivery of local organic fruits. We've designed this box to bring nutrition and lift the spirits of 8-15 people. Be nurtured with seasonal offerings of delicious handheld fruits selected from small local organic farms. See what's in the Medium Business Fruit Box this week! 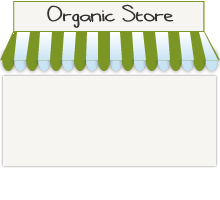 Bring a little love to your office with a weekly delivery of local organic produce. Designed for an office of 15-24 people this box varies from season to season but will always satisfy your team members with healthy and delicious ready to eat fruits. See what's in the Large Business Fruit Box this week!